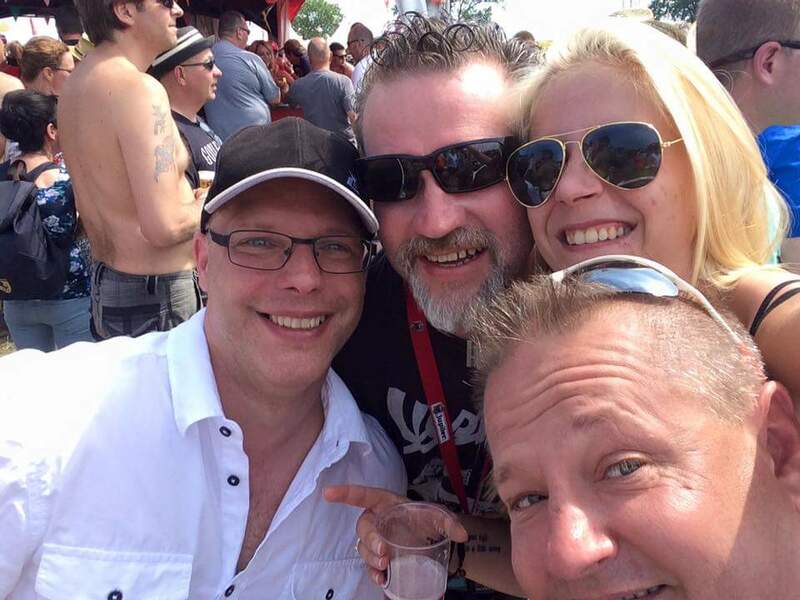 BOSPOP 2015 – 35 years… and still rockin’! So how did it all begin? How do the cogs that drive the BOSPOP mechanism turn behind the scenes? Who does what? How does it all come together? These are just some of the questions that have been rattling around inside my head ever since I first discovered the festival in 2010. In addition, the festival has been on a total of 5 different sites including: Hushoven School, Openlucht Theatre de Lichtenberg, Boshoven Sporthal and the current location. There was one another location that was used in the Weert area but it was found to be unsuitable. 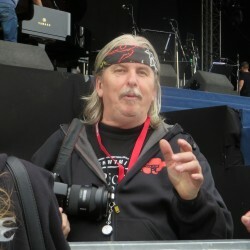 The first “BOSPOP” person I met was, Paul Adrians and he made Marc Tyley and me feel so welcome when we came to see and interview Southside Johnny and the Asbury Jukes, it has to be said that the impression Paul gave us of BOSPOP is as strong now as it was then. When I told Paul I was working on this piece, he told me he became a part of the BOSPOP Team back in 1982 when he helped with everything at a time when it was a very cosy, small festival with 1000 visitors max. 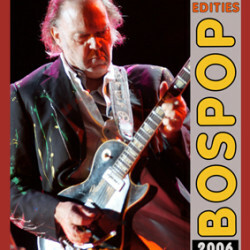 After that, he specialised in organising the publicity for BOSPOP before handing over these duties to Koen Klomp in 2011. 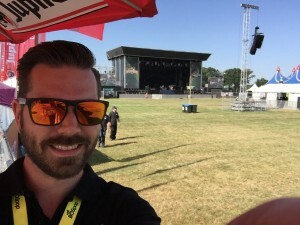 These days, Paul’s role in the organisation is more connected with the accounts but he did tell me that his personal favourite highlight at BOSPOP over the years was seeing his all time favourite band, The Tragically Hip (BOSPOP 2006). 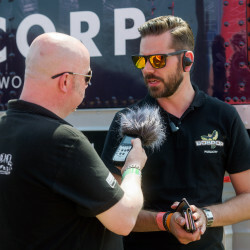 I’d like to thank Paul and everyone else in the BOSPOP Team who have so kindly responded to my questions below but more importantly for producing such a fantastic event that has certainly stood the test of time and will, I hope, continue to rock on for many, many years to come. Could you tell me how/why the idea for BOSPOP first came to you? Peter: It was born in a bar in a youth club which had no space for live music. So we created our own music-area, and in the years since then it has grown bigger and bigger, but not too big, so it still holds its own, familiar feeling. BOSPOP has just had its 35th Anniversary and Joey Tempest from Europe can be quoted as saying in his recent interview with Marc Tyley from Manx Radio that “…playing festivals like BOSPOP is a thrill for bands like us…”- did you ever imagine that it would still be so popular with musicians/music fans after this amount of time? Peter: No. But it’s nice to hear those nice words from Joey. We do our best for the audience, our own crowd and of course for the bands. It’s a “chemical process” in a melting pot of all those people who are working on a very nice weekend. You have the equivalent of a mini-army on the festival site taking care of everyone… how is the BOSPOP organising team chosen both at both management and volunteer levels? Peter: Every year, we have new volunteers who want to be involved in the festival. I think the youngest is 18 (that’s the minimum age for a volunteer), the oldest is 87 and still growing strong. The Management Staff is a team of 7 people, behind that there are 12 Team Leaders with their own tasks. If you have been working for a couple of years and you would like to take on some more responsibility, you can make it to Team Leader. Besides that, we work with several clubs in our area. The diversity of the BOSPOP programme is something that I find particularly appealing as there truly is “something for everyone”. How are the festival programs decided and how do artists/bands apply for consideration to appear at BOSPOP? Peter: It’s a matter of availability of bands. Mostly we start with the headliners. During that time, we start to fill our program with others who would like to play at our festival. Sometimes we will check for bands which are not touring at that moment. Within that process, we look for combinations in the rock, blues or pop scene. 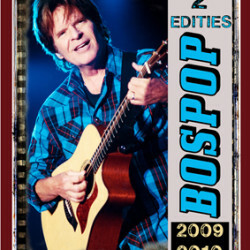 The history of performers who have played at BOSPOP is like reading The Rock and Roll A – Z of Who’s Who… it’s a phenomenal list of eclectic genres of music! Casting the issue of budgets aside for a second, which artist and/or band would you love to have play at BOSPOP – either again or, for the first time – and why? Looking back at the last 35 years, what has been a particular highlight for you personally? Peter: Neil Young in 2008. Looking forward, what do you envisage for BOSPOP’s future… will it remain a 2-day festival and be presented on the same site? Peter: Yes. As a volunteers-festival, we want to stay relatively small and can’t handle more than 20,000 a day. When and how did you first get involved in being part of the BOSPOP Team? 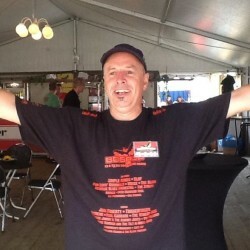 Koen: I started working at BOSPOP as a volunteer already many years back. I suppose it was 1996 when Iron Maiden performed at BOSPOP. First I worked at the toilets, receiving payments (not cleaning 🙂 ). That was always big fun, and a lot of pleasure came from that. 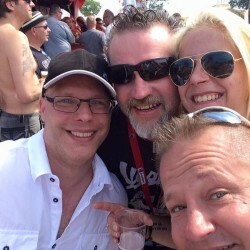 After a few years, I started to build the BOSPOP website and eventually I ended up as the person responsible for the Marketing & Publicity of BOSPOP. I know you deal with the Press Accreditation side of the festival but could you tell me more details about your role in the organisation of the festival and what it involves? 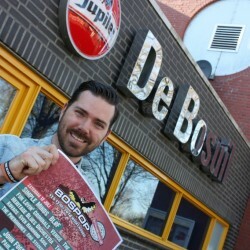 Koen: In my function as Marketing Manager for BOSPOP, I’m responsible for everything that involves the promotion of BOSPOP. I don’t do this alone, we have a publicity team for that where every person has his own responsibility. Together we write press releases, start marketing campaigns and promotions, design the look-and-feel of all BOSPOP promotions, radio commercials, outdoor marketing, free publicity, online marketing, etc. etc. What are the biggest challenges you face when you are organising something as big as BOSPOP? 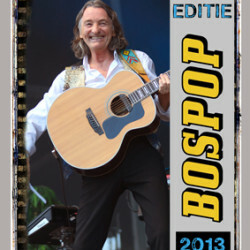 Koen: For us, the biggest challenge is promoting the BOSPOP line-up. We don’t have a very big marketing budget so we try to spend money wisely in proven marketing concepts. But that makes it also challenging and (to be honest) fun. The line-up itself can also be challenging because we can’t always get what we want, we are simply not big enough to get each band we want. The competition is also big in the festival market. The list of bands and artists that have appeared at BOSPOP is mega! Of all the BOSPOPs you have been involved in, which band or artist has been a particular highlight for you and why? Koen: To be honest, I can’t see as many bands as I want at our festival. Most of the time I’m working but 2012 I remembered as a very cool line-up. Lenny Kravitz, Ed Kowalczyk, Gavin deGraw, Tom Jones and Beth Hart were all personal favorites to me. I also enjoyed Within Temptation (2013) and Sting (2006). Sting was particularly fun because this was an extra day (so BOSPOP was three days that year), and since we worked so hard this just gave more pleasure 🙂 The line up of 2012 was just the music I like personally, so that’s still a favorite to me. Which band or artist would you like to see perform at a future BOSPOP – assuming of course that budget wasn’t an issue – and why? Koen: Personally, I like the more recent rock bands like Muse and The Killers, but also softer music like Florence and the Machine and Adele. I would also like it if we would modernize a little bit more and would book classic dance bands like The Prodigy and Faithless but that actually doesn’t match our current vision for the festival. But you never know, at some point the current classic rock bands will become too old to perform or simply too expensive and perhaps we will book the bands then with which I grew up (we have already booked my youth favorites like Bush and Ed Kowalczyk (Live) in the previous years so who knows…). When and how did you first get involved in being part of the Bospop Organising Team? 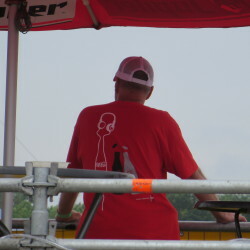 Roger: My first year being part of the Bospop family was back in 1997, still at the old location at Boshoven sports park with the windmill in the background. I was asked by a friend to help out at the entrance of the toilets cutting the toilet tickets 🙂 Just a year later my friend and I started on professionalizing the IT side of the festival by introducing the first WiFi connection for press and artists. Since then lots has changed and I’ve covered many roles to finally end up in the Publicity Group. After the first edition I was hooked, which wasn’t strange if you bear in mind that as a kid, I always took the bike to have a look at the building of the festival. I know you deal with the Marketing and Publicity side of the festival but could you tell me more details about your role in the organisation of the festival and what it actually involves? 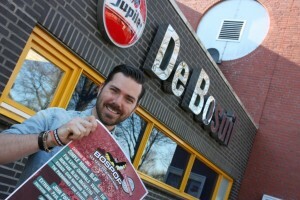 Can you ever imagine doing the type of promotion work you do for Bospop without the aid of Social Media? Roger: No I can’t, as social media is our fastest way to reach out to our (potential) visitors and a very strong tool to build a real Bospop community. In just a few years, our Facebook and Twitter account has grown rapidly to a very enthusiastic and involved community. Roger: Biggest challenges for the last couple of years, were the changing of locations of the festival, which always gives new issues and also creates a challenge in promoting the new location. I would say the biggest challenge is finding the right artists for the festival, as we concentrate on Classic Rock with a lot of quality, this is always challenging since a lot of bands are not performing anymore. The last big challenge is competing with other festivals. During a summer weekend a visitor can choose between at least 10 other festivals within the country. Therefore we stick to our roots, quality classic rock, good facilities and innovations on the comfort level for the visitor. 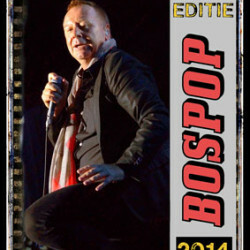 The list of bands and artists that have appeared at Bospop over the last 35 years is mega! Of all the Bospops you have been involved in, which band or artist has been a particular highlight for you and why? Roger: Every year brings new beautiful moments to remember, but the performance of Roger Hodgson in the tent stage in 2011 is the one I will never forget. The chemistry between him and the crowd was magical and the crowd just wouldn’t let him get off the stage at the end of his show. After at least coming back on stage three times for giving an encore, he left the stage with tears in his eyes and told our festival director how grateful he was for being able to perform for such a crowd. I still get goose bumps thinking back to that show. Looking forward, which band or artist would you like to see perform at a future Bospop – assuming of course that budget wasn’t an issue – and why? Roger: My biggest dream is having Bruce Springsteen on stage at Bospop. For a long time, I’ve been a huge fan and have visited multiple concerts of his. His concerts with the E-Street Band are just phenomenal. Lyrics, sound, performance…just perfect! You can imagine how happy I was having Southside Johnny over at our festival J. More in the range of our budget, I would like to see Hall & Oats, The Doobie Brothers and John Cougar Mellencamp at our festival. 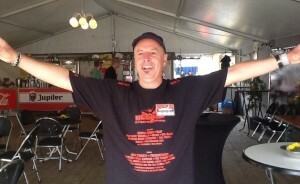 Leon: In 1996, I was at BOSPOP for the first time working behind the bar on the field. 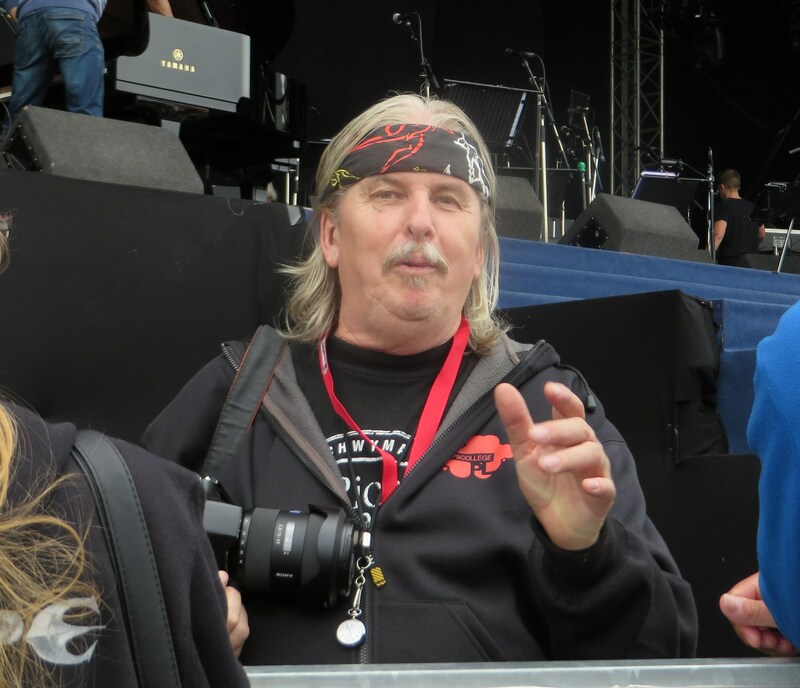 When I worked as a volunteer in the music center, “De Bosuil” (in Weert) I got to know Ed Seatiel (Co-ordinator for BOSPOP) who asked me to become Bar Co-ordinator of the Press/ Guest Area. This was in 2005. Could you tell me more details about your role in the organisation of the festival and what it involves? Leon: I must keep the guests happy and if they have questions, I have to make sure that they get an answer. Eric and Robert do the planning before BOSPOP and that includes the timetable for building the Guest/Press Area and the ordering of all the stuff we need. I must make sure that everyone gets his/her drinks and food. 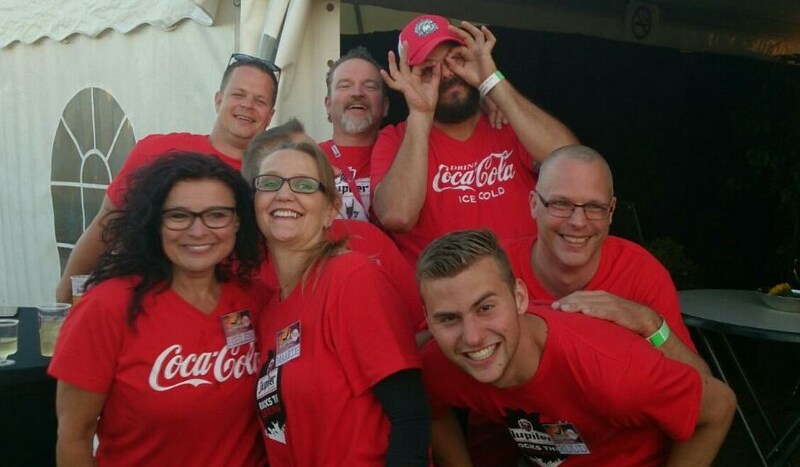 What are the biggest challenges you face as Bar Co-ordinator when you are planning for something as big as BOSPOP? Leon: There is a script that we follow and apart from dealing with any unexpected problems (2014 the heavy rain, 2011 new location) we have faith in this script, so we haven’t really got any big challenges because basically we have seen everything. Leon: There are many artists. Within temptation: I like them a lot. Beth Hart: I didn’t know her and when I heard her for the first time, I was blown away. The second time, I spoke with her for quite some time and since then, I’ve been a fan. Angelo Kelly: Never in my thoughts would I have imagined that I would like someone from the Kelly Family, but Angelo has invited me and my wife to visit him several times. Walter trout: So great. Southside Johnny and the Asbury Jukes: So good. But because of my work, I don’t see all of the artists and I think my list would be even longer if I had seen them all. Leon: Nickelback: Rock and nice. U2: I think they will fit in and I like the old U2 (CDs Boy and War). Van Halen: What can I say? : Jump was part of my youth from 18 to 20. Bruce Springsteen: I think he likes BOSPOP better than Pinkpop, he is great and gives a great performance. Cindy Lauper: I have seen here once, she was really good. Dire Straits: What must I say? I think my list could grow on and on, but some of the artists are also dead and no money in the world can bring them to BOSPOP. The Vaughn Brothers, the Sweet (I know there are two bands playing and in each of the bands there is one person who played in the original Sweet.) Other persons and bands: Johnny Winter, Asia. When and how did you first get involved in being part of BOSPOP? Luc: In 2002, I was a bar-keeper in a restaurant. 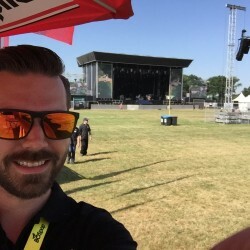 A girl who was working there asked me to come and work in the VIP-area (now Guest/Press area) at BOSPOP, because they were short on volunteers. I’ve been working at BOSPOP ever since. 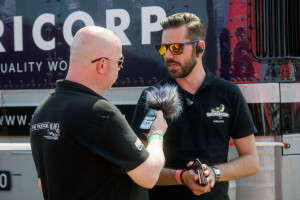 Could you tell me more details about your role in the Guest/Press area and what it involves – for example: how many hours do you work during the weekend, how are the shifts organised etc.? Luc: Everybody in the bar-team has his/her own job (waiter, barkeeper). I’m responsible for the refrigerators, so I make sure that they are always filled with cold drinks. When that job is done I’m on stand-by for anything else I’m needed for (serving drinks, making drinks, cleaning tables, taking out garbage, etc). 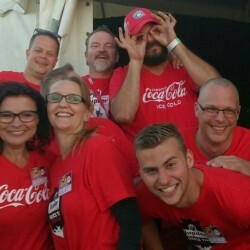 A little impression of how many hours we work during BOSPOP behind the Guest-press bar. We start on Friday with a B2B (business to business) from 18.00h till approximately 24.00h.. The rest of the weekend we work with two teams. This means that we are at work for 8 hours+ a day and have 8 hours free from work. 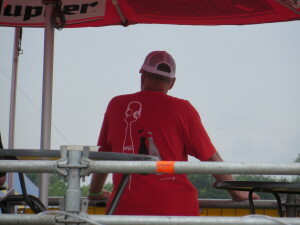 What do you enjoy most about “working” at BOSPOP? Luc: The most fun that I get from working at BOSPOP is that we work in a stable team. Everybody helps each other, has fun during work and we go to see and listen to bands together. Luc: There are many bands who gave me goosebumps over the years. But the highlight for me was a coverband called, Stahlzeit BOSPOP-2009 (Rammstein). They were freekin’ awesome! At the start of their performance, they played just one note and the whole tent (that was packed with people) was already singing the song they wanted to play. Then there was the pyrotechnics show with fireworks and flames. The whole tent was going wild by then! That did it for me. Which band or artist would you like to see perform at a future BOSPOP – assuming of course that money wasn’t an issue – and why? 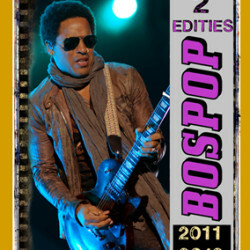 Luc: Who would I like to see on BOSPOP-mainstage? That would be of course, the real Rammstein and AC/DC. It would be a hell of a show I think. Joseph: In 1994, when Theo our festival goer discovered it … we were always looking for festivals that had that something special … in these days, BOSPOP was a 1-day festival and Theo managed to get a photo pass for me. BOSPOP had the same magic as our Roots Rock Festival in Nidrum, Belgium and it felt like a warm blanket where you could lay down and enjoy. I know you are Photographer Accredited but could you tell me more details about what this involves and what happens to the photographs you take during the festival? Joseph: The hardest part for me during all these years was to find a media source which until this day, I hadn’t found until I met Wilbert Stuifbergen from www.pinguinradio.com who loved to put this and all upcoming reviews on their website. So for this edition of BOSPOP I am also working for Lust for Life magazine because their photographer couldn’t make it on time and arrived around 9 pm on Saturday night. For ZEF, I reviewed the Sunday edition and for the first time our Ebook will be published in English and Dutch versions – at last… all the other years, I had to work under my own production name, “friend2friend production”. In 2000, the artist, Anouk, for whom I worked as her tour photographer, phoned Jan Smeets, the festival owner of Pinkpop and told him that I loved to make reviews of Pinkpop and also that since 1994, I had been working at BOSPOP and that my photos were amazing… so since that day, my company name has been an established fact. There have been some down side effects along the way because I was not a known media, sometimes I wasn’t on the list for the headliners. This has happened many times at BOSPOP too. How has the development of photography technology changed over the years you have been taking photographs at BOSPOP and what difference has this made for you? Joseph: For many years, digital was nothing for me… I am from the old school of photography and all the black and white photos I developed myself. But during the last 7 years, I finally made the switch and loved the fact that I can see my photos right away. One thing didn’t change after the switch from analog to digital though and that is the way I take photos. From every act, I only make around 45 photos because I wait for that special moment thru my lens… the moment that you are at one with the artist. Many young photographers take around 7000 photos during a 3-day festival and of course they will have their special photo in there… but they didn’t feel that moment because their finger kept pushing and pushing over and over again. The biggest smile I get later is when I am home and connect my photocard to my computer and relive that moment again… and that’s what I call magic. The magic of freeze framing that special moment and seeing it again and being transported back to the concert. How did the idea of making BOSPOP photo-books come up and how can people see them – are they only available online? – make sure your speakers are on when you click on the covers of Joseph’s photo books below and you should hear the pages turn when you flip them! Joseph: For many years, I have been walking around with this idea to give something back to all the visitors of the festivals… it’s a 2-way deal… one for the festival organisation as a way of saying thanks for inviting me as Press and a special guest. And the second part is to give you, as visitor, an opportunity to see your festival thru my eyes … and hopefully it will bring back the feelings you had. I would love to publish it in another way but nobody has asked me this question yet… so I am looking for a big sponsor… and who knows what the future will bring. Right now, I am working on this edition and within a month or 2 it will be online. Joseph: The atmosphere of the festival… it’s all so mellow and easy. You can reflect on all bands and artists… something that is hard to put into words until you are actually there and then everything falls together. It’s kind of a family festival because everybody feels like your brother or sister. And it’s not only the visitors who reflect this feeling but also the hundreds of volunteers who work there… and the organisation itself has become my family thru the years… when you arrive at the festival, it is like coming back home from a long journey. The list of bands and artists that have appeared at BOSPOP over the years is mega! Of all the BOSPOPs you have been at, which band or artist has been a particular highlight for you to photograph and why? Joseph: Greg Allman… in the seventies, a Canadian came to my hometown to give instructions to some workers that needed his special skill. When he left, he gave my older brother 3 albums one of which was, The Allman Brothers live at Filmore East… and I love that album… so when first, Dicky Betts and later, Greg Allman came to BOSPOP I was in heaven… in my BOSPOP Heaven because no other festival would put them on their programme. That reflects the power of BOSPOP where, for me, dreams come true. Joseph: The Parlotones, a South African band which I have been following now for some years. My daughter went to see the band, Starsailor in England and they had The Parlotones as their support act… I liked this band more than Starsailor so I went thru the internet to search for everything this band had on album. Their albums were hard to get so I ordered them from South Africa. The Parlotones are a live band with their own sound and they have played in their homeland for a crowd of 20,000 people and more. When they came to Europe, we found them playing in a little club in Cologne playing for a crowd of only 100 people but that didn’t matter because they love to play. I think this band would be perfect for BOSPOP. BOSPOP – THEN & NOW LINKS: Looking back at what was going on in the world of Rock and Roll History in 1981 – as in the year that BOSPOP started – I discovered some interesting connections between then and now. Names that were topping the charts (in no particular order) back then included: Stray Cats (Brian Setzer BOSPOP 2011), Squeeze (Jools Holland BOSPOP 2015 and Paul Carrack BOSPOP 2009 and 2014), Journey (BOSPOP 2011), Foreigner (BOSPOP 2009 and 2011), Rolling Stones (Ronnie Wood with The Faces BOSPOP 2011), Soft Cell (Marc Almond with Jools Holland and His Rhythm and Blues Orchestra BOSPOP 2015) and Billy Idol (BOSPOP 2010).